It was probably the Arabs who introduced balm to health, as a herb that can be used for depression and anxiety. The 11th-century Arab physician Avicenna believed it "causeth the mind and heart to become merry" and praised it as an antidote for melancholy. Herbalists still recommend balm as tonic and as a sedative. Today the popular balm is used in a variety of ways. 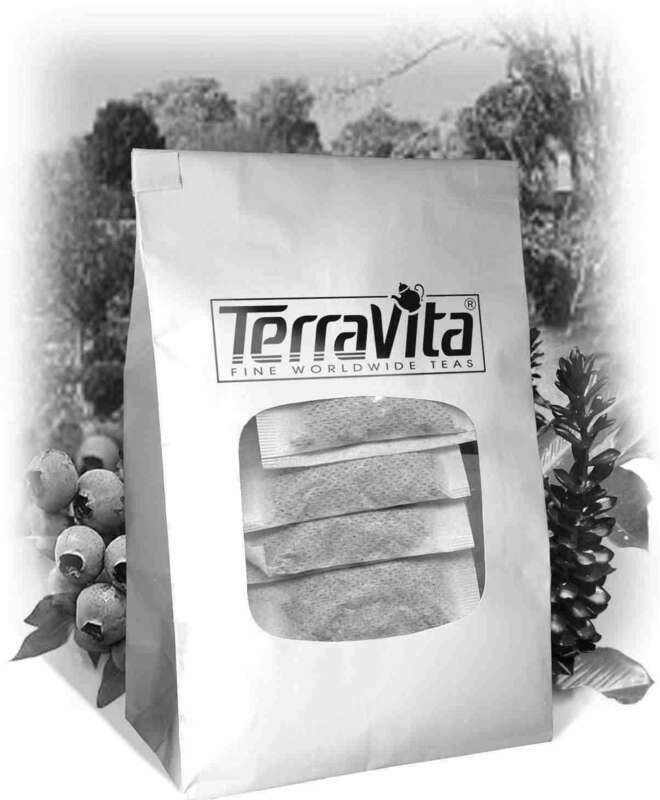 A tea made from the fresh or dried leaves is said to soothe menstrual cramps, support insomnia, act as a sedative, quiet vomiting, and help reduce fever. The leaves contain a volatile oil that is used in the manufacture of perfumes and cosmetics. Preparations from leaves can be used to help support feverish colds and headaches, to help support menstrual cramps, and to calm nervous stomachs. The crushed leaves help mend wounds and insect bites. The hardy lemon-scented balm has long been used for its soothing health qualities and its aromatic properties as an herb. It was also a favorite of ancient beekeepers, who rubbed its fresh leaves on beehives to encourage bees to return to the hives and bring others with them In fact, the generic name Melissa comes from the Greek word for bee. The common name also derives from the Greek: balsamon means "balsam", an oily, sweet-smelling resin. Easy to grow under proper conditions, balm has been cultivated for centuries and is often found in herb gardens. Habitat: Sunny fields and along roadsides with a rich, sandy, loamy soil. Range: Native to Europe, balm is naturalized in the United States from New England west to Ohio and Kansas, and south to Arkansas and Florida. Identification: A perennial with upright, hairy, branching stems that can reach 3 feet in height. Light green toothed ovate leaves grow in opposite pairs at each joint. White or yellowish two-lipped flowers (June-September) form in small loose bunches at the axils of the leaves. The leaves give off a strong lemon scent. Other names for this herb are lemon balm, balm mint, blue balm, dropsy plant, honey plant, Melissa, and sweet balm. Balm is a symbol of sympathy and gentleness. Linnaeus named it Melissa, the Greek word for "bee", because bees are so attracted to it. Common in the Mediterranean area and the Near East, it is also naturalized in some parts of the United States, where it grows wild in fields, gardens, and along roadsides. The ancients believed balm tea would ensure long life. It is also thought to help support colic, cramps, bronchial catarrh, dyspepsia, and some forms of asthma. As a warm infusion, it can be used to help support migraine and toothache, and for the headaches and dizziness of pregnancy. 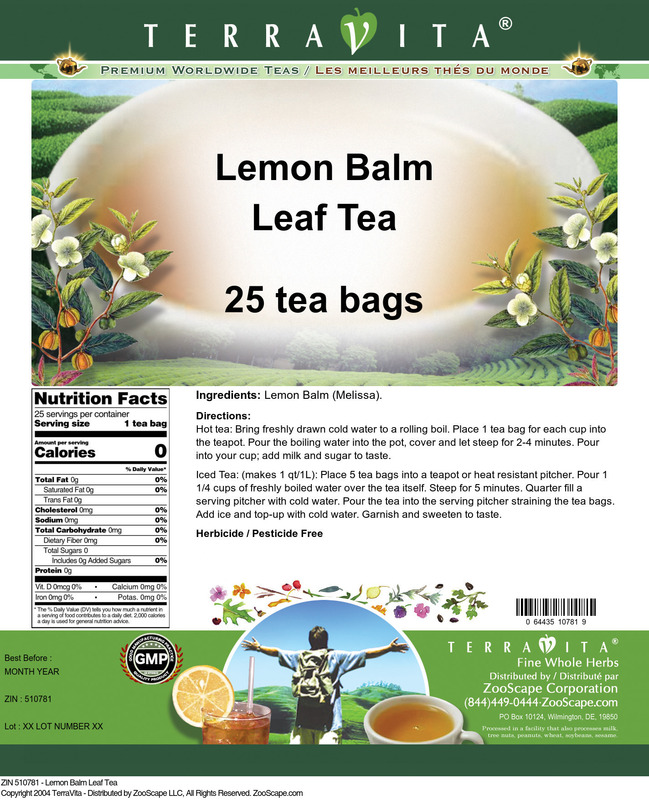 Balm tea is also said to dispel melancholy. Plant: Perennial, hardy to -20°F (-29°C). The light green leaves are heavily veined, 2 to 3 inches long, with scalloped edges. There are also variegated leaf varieties. The leaves are intensely fragrant, with a lemony aroma. Small white flowers grow along the stems, but they are not numerous. Height: 1 1/2 to 4 feet. Soil: Medium-dry; poor, light, sandy soil if you don't want lots of spreading; moist, richer soil if you want to encourage spreading. Propagation: By root division or cuttings in spring or fall. Also by seeds planted during the third lunar phase. Seeds are viable for three or four years, but they take 14 to 21 days to germinate. Care: Space mature plants 18 inches apart. Pinch back tops to increase foliage and to keep flowers from going to seed. Keep weeded. If plants spread out too much, shear them back to contain them. Small plants can be transplanted. Part Used for Tea: Leaves. By Infusion: Pick leaves that have not set flower buds. Do this early in the day, while the leaves are still rich with aromatic oils. Use 2 teaspoons dried leaves (or 4 teaspoons crushed fresh leaves). Place in a warmed porcelain pot, pour in 1 cup boiling water, and steep to taste. Flavor with sugar, honey, and/or a twist of lemon. Pour 2 quarts boiling water over leaves. Allow to steep, covered, for 20 minutes. Strain, add honey, and allow to cool. Just before serving, add ginger ale, ice cubes, and mint garnish. Makes 15 servings.